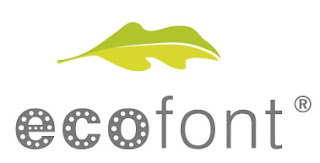 More press, gossip and news unfolds about Eco-font. What is so great about it? Who really cares? 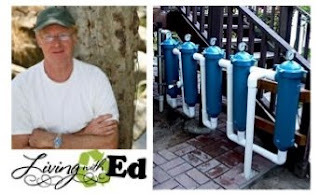 Can it be that efficient and earth-wise friendly? The short is yes - pleasantly surprised once again. The secret to the eco-friendly font, born from the Dutch firm, Spranq, is the holes. Yes, simple holes just like Swiss cheese (but again they are Dutch). The co-owner, Alexander Kraaij, claims it uses less ink than other typefaces, thus saving money and resources. In fact, one example is a company with 5,000 workers could trim up to $125,000 a year alone in printing costs. The use of rounded holes – a fifth of a 10-point, Verdana-like, could be removed without hindering readability. Savings shrink at smaller sizes; holes are obvious at larger ones. The American Wind Energy Association (AWEA) has a report card. Think of it as the master report card of all the students (states) in the school (nation). This master report card system is a follow up to The Department of Energy proposed goal where 20 percent of U.S. electricity will come from wind energy by 2030. Want to guess the overall grade was for the U.S.? A solid “B” and “C-“ for Transmission and Integration. Oh snap! Time to get started again on thinking outside-of-the-box, start applying for green collar jobs, and begin submitting for stimulus/grant money. 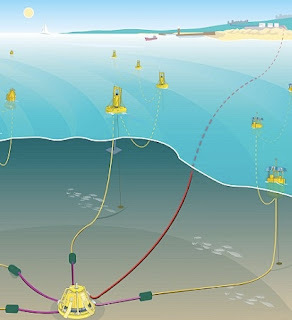 It is not a shocker since for many years now, the government, green researchers and entrepreneurs have been putting blood, sweat and money into making cleaner, more efficient designs. For example, we clearly see influential signs of biomimicry introduced from Mother Nature to solve engineering problems. 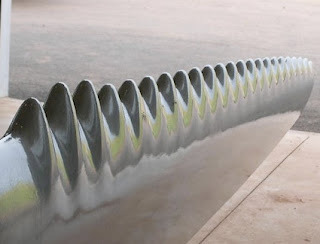 As with WhalePower, this company has redesigned the typical smooth blades on a turbine, by adding a series of ridges, (a.k.a. tubercles) which are the bumps on humpback whale fins. The company says this new blade design could increase annual electrical production for existing wind farms by 20 percent. So entrepreneurs continue on with brilliant designs and what about the government? Our “report card” does not include progress on national policies to advance wind power. We are making these great strides and somehow forget about the rules and legislation for evaluation? That’s like forgetting about the teacher in the classroom. And the last time I checked our grid was overheating! (in more ways than one). Please do not get me wrong. 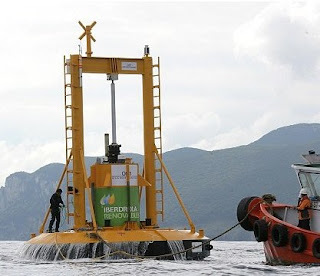 I am a big advocate for alternative technology (e.g. wind, solar and geothermal). However, energy legislation that addresses top issues such as transmission, planning, paying for, and setting new power lines is critical. While developing these technologies, we cannot forget we need to upgrade and improve the reliability of our existing transmission systems. I saw first hand last week what a true 15-year-old eats. My cousin's kid managed to eat Cocoa Puffs and brownies for breakfast, followed by pizza and side of fries and a large Coke for lunch and then BBQ ribs and chocolate cake for dinner. All salt and processed sugar! As a Sustaino, not something I'm proud of; nor can control since I don't raise or babysit this child. Yet we wonder why we have child obseity cases - only in the U.S. right? Each year the average American eats 16 lbs. of fries, 23 lbs. of pizza and 26 lbs. of candy (Source: USDA). Today, we recognize the "Weight of the Nation" as the CDC holds its inaugural conference dedicated to mitigating our obseity epidemic. I pray that grown-ups are eating their veges and being good role models. Last time I had an event or supported a big cause, I had a hard time spreading the word. People were arriving at different times, going to the wrong location and it frustrated me as an organized Sustaino. So, one cool tool available for us is GSTV. It's basically the Prius Neighborhood and Gas Station TV groups that have established a community-powered site allowing you to search for ALL kinds of events by zip code. It could be farm events, business events and even blood drives. Anyone can submit, share and promote their community-focused events or causes on the Prius Neighborhood. The events will be posted on the website, on their Facebook and Twitter pages and considered for broadcast on the Prius Neighborhood show on Gas Station TV. Other people can then search, view and attend these events in their neighborhood. So if you are having an event for your business, school, office or community...spread the word using this awesome tool! Whether you buy sunscreen, lipstick, shampoo or even deodorant, I doubt you really know all the unusual ingredients that comprise those products. Those unusual chemicals, toxins, and nasties all have names we either can't pronounce or sounds like a French meal. (I love French food by the way). Of course, it is proven that those chemicals are linked to cancer, skin disorders and hormone disruption in humans. Yet these problems all have answers that are available to help us evaluate what our lips, armpits and skin shall absorb. It's called the Cosmetic Database (a.k.a. SKIN DEEP). Skin Deep, a free, online database provided by the Environmental Working Group which documents toxins in our hair, skin, makeup, and personal care products. Men can look up their favorite Old Spice or Gillette creams and determine its toxicity level. It works like Google and you can search any product, manufacturer, or brand name. All products have a rating scale from 1 to 10 that is very easy to understand. Each score has a color associated with it; Red = bad, Yellow = caution, and Green = good. Click here to see what your skin is now absorbing! The Transformer movies seem to come and go so quickly that in the mix you might have missed ideas that are transforming our packaging. I bring this to your attention since I recently saw Megan Fox on the big screen at the $4 Detroit Rd. Theater. While the toys, machines, and special effects transformed in a complicated fashion that makes you wonder where is the “off” switch, I began to notice more SIMPLE transformations. But what the heck do you do with the box? Throw it away. Reuse it. Recycle it. Stuff it with Christmas gifts? One, cool solution is Steve Haslip's HangerPak. 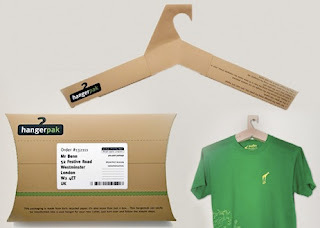 It is designed for T-shirts that arrive to you in the mail. The box can be transformed into a hanger, made of recycled content, but even better that it can be reused. The alternative to grass nowadays is moss. Think about it! No fertilizers, seeds, mowing or watering. I learned this first hand when NPR highlighted a “moss guru”, David Benner, who is a horticulturist and moss enthusiast outside of New Hope, Pennsylvania. He discussed the approach of killing grass by making the yard very acidic. The secret is shade! Of course, this approach is not for every yard; however, a reasonable, sustaino, earthy-friendly alternative if you don’t envision mowing every summer, every week for the rest of your living days. 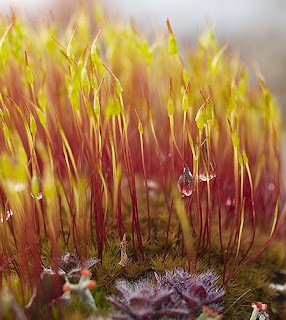 Interestingly, moss can go weeks without water. It doesn’t require lots of maintenance compared to its counterparts (e.g. flowers, grass or water gardens). Since moss doesn’t have roots, it absorbs nutrients from it’s “body” allowing it grow virtually anyway such as rocks, flat areas and other nooks. Check out the video for transplanting moss and transforming your yard. This weekend I watched the French documentary about food waste and production called “The Gleaners and I”. A great film directed by Agnès Varda. This film received many rewards before environmental films were popular about the trash and treasures within the French regions, where she captures the inside point of view on gleaning, the act of gathering remnants of crops from a field after the harvest. Even in some areas today, it is illegal to take scraps of food. From wasted grapes, potatoes, tomatoes and art, she gets to the heart of the matter on true recycling and helping to be a Hunger Hero. Tons of food is taken to food shelters, offered to gypsies, or shared with animals. Perfectly good food...all going to waste. Agnès helps you to emotionally connect with the old school “Rosie the Riveter” style often depicted in the artwork from Breton Jules. 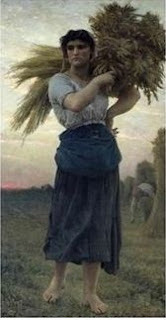 His paintings from 1877 showed the pride, joy and hardwork of being a true gleaner, often female. (photo to the right). An eye-opener, tear-jerker, and treasure of wonders that makes you think twice about throwing out 1-day old expired food or tables scraps. See the 4-minute introduction on YouTube here. It started with research, crunching of numbers, and a strong belief by the hospital’s CEO (Robert I. Bonar, Jr.) that green is the way to go! Sure, folks had their doubts on where to place an awkward, 169-bed, 73,000-square-foot building on a potential brownfield. However, the name says it all - Dell Children's Medical Center of Central Texas, the world's first LEED (Leadership in Energy and Environmental Design) Platinum-certified inpatient hospital, the highest level recognized by the United States Green Building Council (USGBC)! Let’s look at this successful case study on how they were able to beat the odds! One of the key factors to their Platinum rating for the designers was a freestanding natural gas-fired power generating plant. It took up about 1 acre of the total 32-acre property and is a cogenerating endeavor by the local power company Austin Energy. 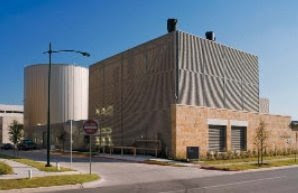 The plant would supply electricity, steam, and chilled water to the facility for a negotiated rate, which helped to save the facility's owners more than $6 million in construction costs. Dell Children's Medical Center is also the only hospital to achieve a LEED point for daylighting. It achieves daylighting in 75% of spaces, including 35% of diagnostic and treatment areas. While the documentation was a nightmare, detailed, comprehensive and called for a big coordination amongst architects, designers, engineers, and staff…you can see the outcome is gratifying and rewarding in terms of patient retention, care satisfaction, and length of stay in the city of Austin. In June 2009, Fast Company recognized the “100 Most Creative People in Business”. All were brilliant, imaginative, challenged the norm, and are working to improve our world. These heroes are incredible and here is a look at my top favorites. #72 – Saul Griffith (Inventor/Entrepreneur): Now I really like kiteboarding, but this guy has managed to tie his hobbies to alternative energy. 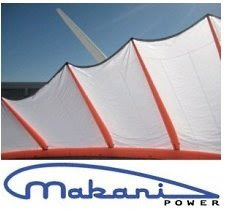 Makani Power (Hawaiian for wind or breeze) has gained some awareness from innovative kite turbines. These giants capture high altitude wind that is converted it into energy. His love of kiteboarding got the attention of Google to the tune of a $15 million investment. #68 – Zaha Hadid (Architect): At 59, she won the Pritzker Prize for her global work (e.g. Chanel Mobile Art Pavilion, Austria’s Cable Railway, Spain’s Zaragoza Bridge Pavilion and China’s Guangzhou Opera House- see above). She is now wrapping up the tallest building in Marseille, France and then lifting up spirits for the Summer Olympics in London’s Aquatics Center (2012). #76 – Piet Oudolf (Designer): As a garden designer of Future Plants, he has a keen point of view on living and dying plants. His integration of greens, browns, meadows, walkways, private landscapes and public parks has helped him to become the “Father of the Influential New Perennial Movement”. 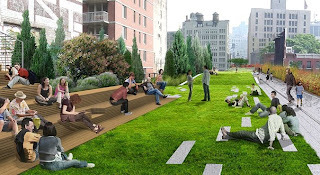 See the High Line project. Smoking rubber tires and burning fuels...can a racecar ever really be green? Quite possibly given the brilliant work from the University of Warwick (England). They have managed to build a Formula3 car run on veges and chocolate bars. 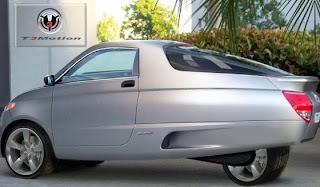 The seat is made from hemp and recycled plastic, the steering wheel from carrots, some of the frame from potato starch, and the engine uses apples and cocoa butter for fuel. Is it good enough to eat? Find out here. The 4th of July is tomorrow and that means it will be time to stuff our faces with lots of food. That’s right – delicious watermelon, fresh corn on the cob, coleslaw, and grilled vegetables! Notice how I left out the beef? My point is to acknowledge where some of you might be getting fresh, gardening goodies. If it were a Sustaino like myself, I would say my backyard. 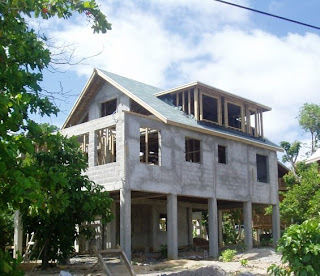 But lately, I’ve been hearing, “the side of my house.” WHAT? Now, I’ve heard of container gardening, community gardens, rooftop gardening, but never pockets of gardens hanging on the side of one’s house. How cool is that!!! It’s part of the growing trend of using small spaces to your advantage, especially during times of urban sprawl, economic recessions and concerns of pesticide overload on fruit and veges. 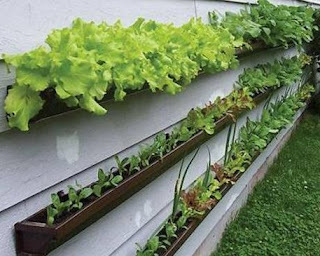 This unique and relevant gutter solution makes use of wall space that tenants or homeowners can manage to grow flowers, food, and herbs.